Step out of your hole and into the light of seeing a real job done. Stop hibernating, students and recent grads! Like Canada’s Wiarton Willy on Groundhog Day, get out and see your shadow (er, job shadow in your case). You’ll get to scurry around with an employed person all day. Glimpse what they actually do at work. Pepper ‘em with questions. Then scamper back into your burrow. Not sure how to find a professional who’d let you trail them? Narrow down the roles that interest you. Then read on like the eager beaver you are. Finding someone who’s in a job you want to explore takes scrounging. Think like groundhog Willy and start with low hanging fruit. Family, friends, former friends, ask around to see if they know anyone that can fit you in. Let instructors at school know you’re looking too. Getting referred is easier than having to tunnel through the dirt. Guest speakers, the career centre staff, all are fair game. Groundhogs hide snugly in their underground dens. To get woolly with one go to where they are. Same for job shadowing opportunities. You might have to cold-contact employers who have roles that fill your (knowledge) holes. A site like LinkedIn can point you in the right direction. But before directly contacting a suitable someone, try their HR department first. They’re used to dealing with pesky varmints and might try to accommodate you. If not consider hitting up the source straight on. Anyway, be prepared and act like a pro. Do some research beforehand. Jot down job-shadowing ideas you have, such as processes or departments you'd like to see. Roaming randomly is a riot as a young groundhog, not so much when trying to get a claw in the door. That’s when coming across as composed and focused matters. Put together some bullet points that introduce you. What have you studied and why do you want this job shadow? What’s your school and degree? Mention up front if someone’s referred you. Though groundhogs are also known as woodchucks, don’t get chucked out the door. Make it easier for employers to say yes. Ask for half a day to a day’s worth of shadowing. Be flexible as possible on availability. Be clear you’re not begging for a job or internship. Despite being chipper and persuasive, you could get a “no.” Turn that into an information interview if that’s all they can spare. 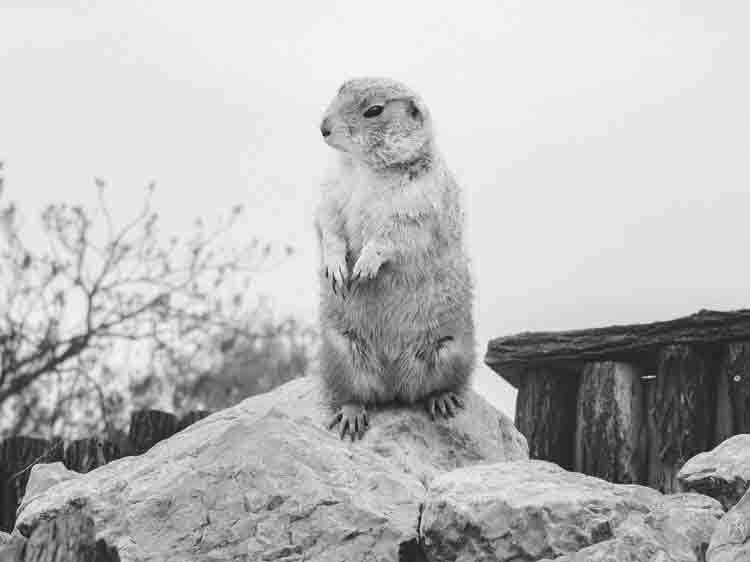 It’s common to see groundhogs near-motionless, standing on their hind feet gawking away. That’s how they signal alertness. No need for you to go tippy-toe vertical. Instead be methodical in setting up the shadow. Ask for the exact time and location to be there. What are you expected to wear? How will your visit proceed and end? What about breaks and a meal? That sets you up for making the most of your job shadowing opportunity. Unlike Groundhog Day it may not predict the arrival of spring. But it ought to spring you forward in your search for a career fit.